For inquires or questions about the TAIS website please use the contact form. 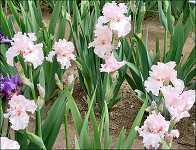 We're a non profit organization whose purpose is to promote the knowledge, culture and appreciation of plants in the genus iris. The following is a compilation of excerpts taken from a reprint of the "Golden Anniversary" booklet put together by Sun Country Iris Society. For the 1991 Region 15 Spring Trek. In 1956, Arizona was part of Region 12 which included Utah and New Mexico. There was no iris society in Tucson at the time. In 1960 Arizona petitioned the AIS to break from Utah to join southern California, and Arizona became a part of Region 15. 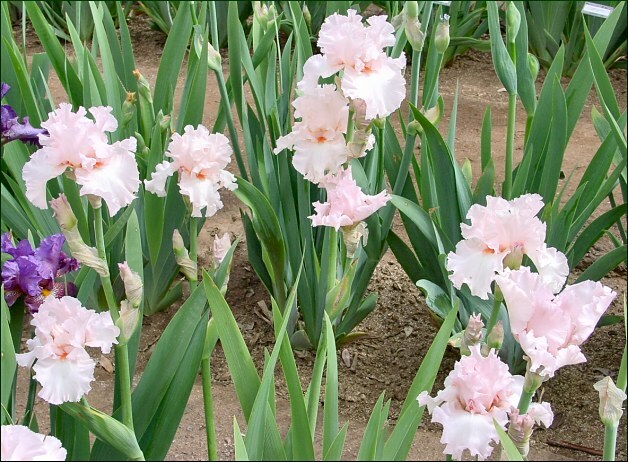 In the fall of 1965, the Tucson Area iris Society was formed due to the efforts of Gen Jasper (Gen was an original contributor to the "Golden Anniversary" booklet) and Joe Fairbanks. In 1966 TAIS held its' first official AIS flower show at Randolph Park. In the spring of 1968 Tucson hosted the AIS Region 15 Spring Trek, a first for Arizona. The Trek consisted of a full AIS flower show in the morning, lunch and a meeting at a local motel and garden tours in the afternoon.